In-Cup Machines from less than 95p per day, drinks from under 10p. Simple to use, easy to maintain, with drinks from the brands you know and love. Enjoy brand named drinks including Gold Blend, PG Tips, Cadbury and more. Quality drinks quickly without the mess. Ideal for staff sites, retail outlets and trade-counters alike. 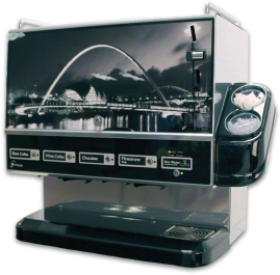 The Classic In-Cup Machine ideal for smaller sites and users. 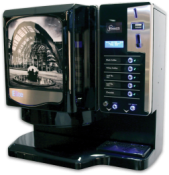 The Professional In-Cup Machine, the perfect entry level coin operated model. 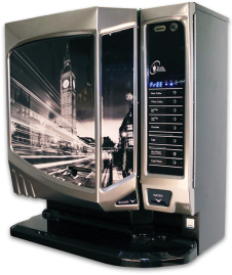 The Elite In-Cup Machine, Stylish compact design and packed with features. The Style In-Cup Machine, medium sized model available with optional chilled water. KSV 7001 Extra In-Cup Machine, great choice semi-automatic model with 10 selections. The Vogue In-Cup Machine, high capacity state of the art, fully automatic model. Ideal for larger sites. In-cup machines are the ultimate in convenience and hygiene as each cup is pre-filled with the ideal amount of quality ingredients and sealed for freshness at the time of packing. 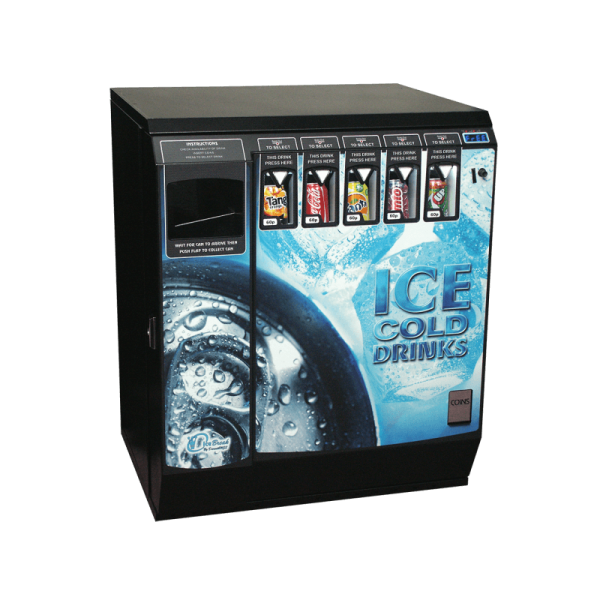 Drinks are dispensed from the machine quickly and cleanly at the touch of a button… saving you time mess and money. With precise portion control drink quality is guaranteed and with brand names such as Pg Tips, Nescafe, Cadburys, Bovril and Knorr you can’t go wrong. 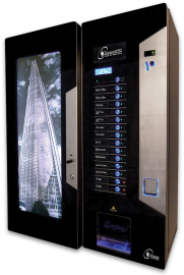 Not only are In-cup machines extremely user friendly they are also one of the most cost effective systems with machines available to rent from as little as £6.95 a week and with drinks from under 10p a cup. 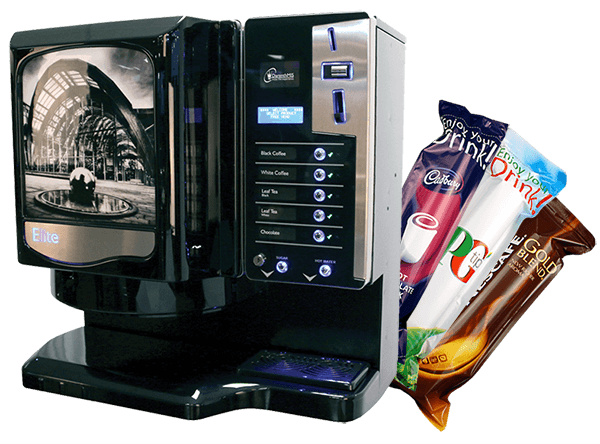 In-cup machines are suitable for the smallest office or trade counter to the largest factory, warehouse or public sites. 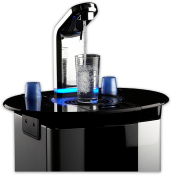 Available as table top and freestanding with or without coin control and cashless systems, hot only or hot and cold models for chilled water or flavoured cold drinks. 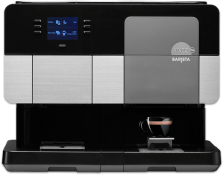 In-fact there are numerous features and options available to enable you to tailor the equipment to meet your specific requirements making In-cup systems remarkably flexible. 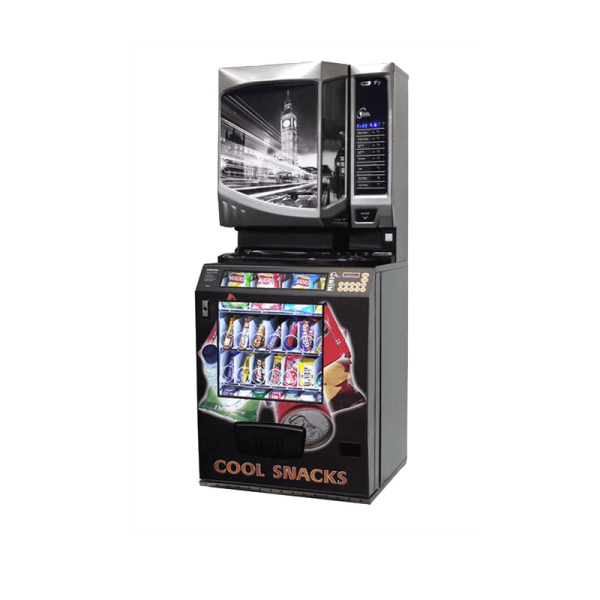 If you require a little more refreshment our In-cup machines have been designed to be combined with the IceBreak can vendor base to dispense ice cold cans of drink or the SnackBreak Mini that can offer a wide selection of Confectionery, Crisps and cold drinks. 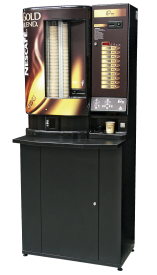 The SnackBreak Mini is available as a coin-operated stand-alone machine or can be supplied as a slave base unit for one of our range of In-cup drinks machines, designed to sit neatly underneath the hot drinks machine to provide a compact and cost effective solution for both snacks and drinks. 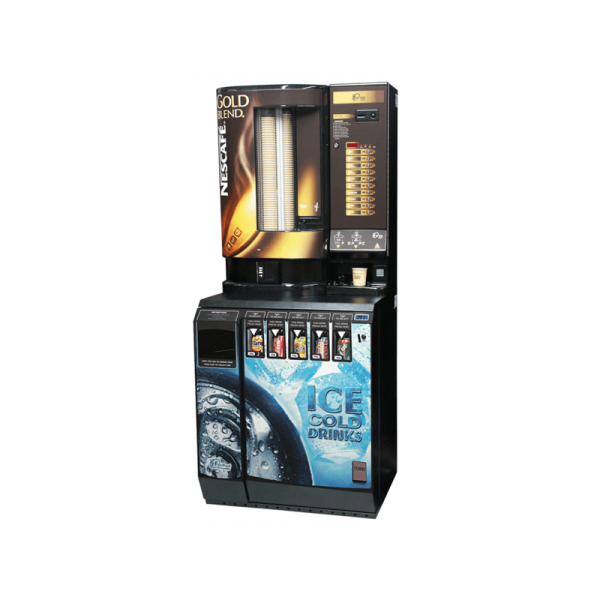 For those that want a higher capacity of cold drinks but do not have the space for a full size Can Machine, the IceBreak could be just what you are looking for. 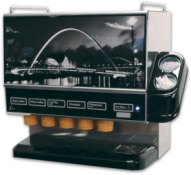 Also available as a stand-alone model with coin control or as a slave to be combined with one of our range of hot drinks machines. If you would like to offer snacks or cold drinks but would prefer one of our Cappuccino or Fresh Brew systems rather than an In-cup machine, please call us for details and advice. 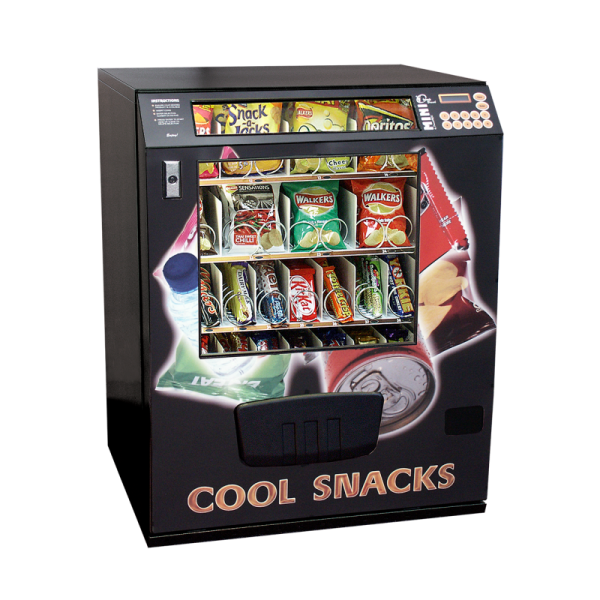 Most of our range of table top machines will sit neatly on top of the SnackBreak and IceBreak base cabinets but not all machines can be connected to interface with the coin-operation as a slave model. 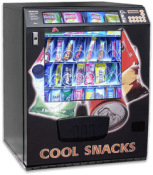 KSV have an extensive range of 73mm In-cup and Foil Fresh sealed In-cup drinks available for our range of machines, they are also compatible for use with most other makes of equipment. We are also happy to supply In-cup and Vending Ingredients to customers who already have their own equipment.